200 episodes of the “From Founder To CEO” podcast. It is hard to believe. I have learned so much from the Founders who have shared their stories and their personal triumphs over the very real struggles of getting a new business off the ground. I’ll be writing more about these struggles in the near future. But, for now, I wanted to share with you three things I learned AFTER we recorded many of our interviews. 1 – MORTGAGES, BABIES, AND CARS, OH MY! – Many of the founders on our podcast seem to become even more “real” with their feelings after I press the stop button on my digital recorder. They seem relieved that the interview is over and begin to chat me up even more. It’s not often they get to speak with someone who understands their challenges and advocates for them. So, what do they talk about? One recently said he felt the weight of leadership responsibility when one of his employees recently signed for a home mortgage. Another one told me she was scared because a co-founder was having a baby and “now the company really needs to be successful.” Yet another one lamented that several direct reports just bought new cars. “That’s risky considering our cash flow,” he shared with a concerned look on his face. Fear of “things becoming real” tops the three things I learned from many Founders. Can you relate? 2 – IT’S LONELY – I’m a naturally enthusiastic person, as you may have noticed. I tend to get excited about Founders and their successes. It’s interesting to see how many of our podcast guests just don’t want to hang up or stop the Zoom session after we record. They are often lonely, and they tell me this. “Can we keep in touch, Todd,” many of them ask. “Of course” is always my response. The need to connect with other like-minded founders is an important part of your development as a Founder & CEO. 3 – HOW DID I DO? – This is by far the most common question I get asked after we stop recording the interview. It’s a curious question in some respects. I understand they are interested in my perspective since I have recorded many of these interviews. However, I also think it’s a fair assessment that many Founders don’t receive much feedback. So, we often talk more about their struggles and some ideas about how to overcome them. Founders have unique problems that many other leaders just don’t experience. You need feedback. Seek feedback from trusted sources. You deserve it. It’s important to you and your company’s growth. What did YOU expect Founders to talk about after we record their interview session? Just How Self-Aware Are You? The below quote caught my attention recently because of an interview I did with Matt Fischer, Co-founder & CEO of Curiosity Advertising. This quote and Matt’s interview reminded me of how challenging it is to become a truly self-aware leader. I got my first real glimpse of this when I was teaching audio editing as a student at Hofstra University. Way back before digital audio editing, we actually used magnetic reel-to-reel audio tape, a white crayon, and tape to edit and splice audio tape. It was indeed a very manual process. And, to me, it seemed pretty straight forward and relatively easy. And, there it was. I hadn’t been called something like that since I was a kid when my long German last name caught people’s attention. I was stunned by her reaction. Why was she so upset, I thought to myself. Years later now, I coach Founders and CEOs for a living and I often share this story about how our perceptions of the world and our awareness of ourselves influences our approach to leadership. You see, I’m fairly certain my “teaching” didn’t sound like “teaching” to Amanda. I got more intense, more incredulous that she could not grasp what I thought was simple, and that was not at all helpful to her. My own lack of self-awareness prevented me from doing what I had intended to do, help and serve. 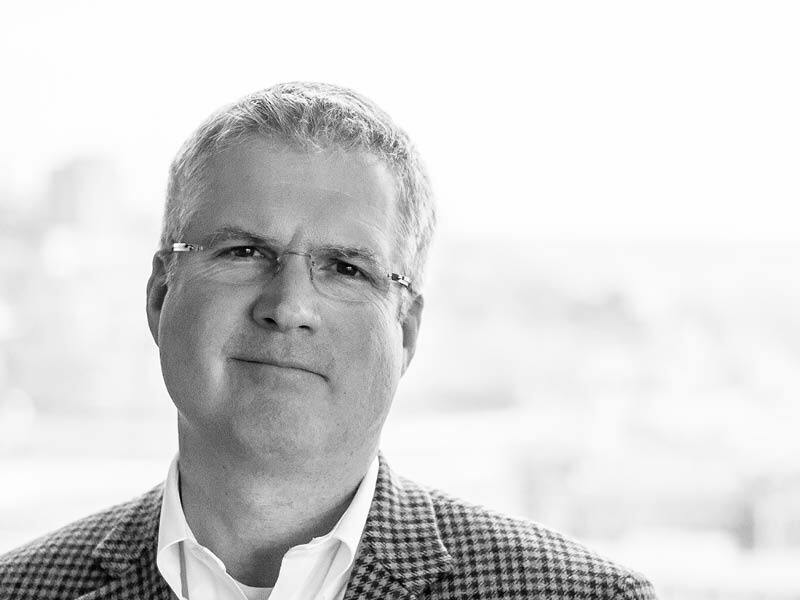 So, when Matt Fischer came on the FFTC podcast and told his story on the path from Co-founder to CEO, it became even more clear to me just how important self-awareness is to leadership. Matt candidly talked about an issue he was having with his co-founder. He explained that he initially believed his co-founder was not aligned with the company’s mission and becoming somewhat of a barrier to growth. After much introspection and outside help, Matt came to realize that the problem was not with his co-founder, but with him. How self-aware are you? Need some help figuring that out? There are lots of things you can do to get help with this. Sam just needed to hire someone, he told himself. He was feeling overwhelmed. The business was picking up speed faster than he could handle it. He yearned for more simplicity and at the same time, courted complexity. An operations leader that could run the day-to-day of his growing startup would mean freedom. Freedom to focus his energies on the things only the CEO could do. Managing the investors. Interacting with customers. Thinking. Planning. And, getting his team focused. The problem was that Sam was somewhat haphazard with the way he went about looking for an operations person. He sent an email to his network. He called a few friends. And, magically two candidates appeared. He quickly scheduled coffee meetings with them and found himself doing more selling rather than interviewing. Brad seemed perfect. He didn’t have the exact experience Sam was looking for, but his excitement and enthusiasm more than made up for that…he thought. Although it was hard to compare the two candidates because Sam didn’t really ask the same questions, he offered Brad the job. Brad started the next day. Everything seemed great until a week later Brad seemed overwhelmed and needed a lot of Sam’s time and attention. “No one is listening to me, “ Brad complained. Suddenly a line of team members formed a regular queue outside Sam’s door. It was unanimous, Brad just didn’t know how to lead, let alone manage. Months later Sam realized he made a terrible mistake and finally fired Brad. It was a mistake that had about a 6 month impact on the morale and trust of Sam’s team. And, that poor decision would reverberate many months later. Although I made this particular story up, it is an amalgamation of the stories I have heard time and again. It’s the same story that Adam Robinson warned against in a recent interview I had with him on the podcast. Hiring takes time and patience. Hiring requires understanding the role. You should ask each candidate the same questions. A bad hire can have a devastating effect on a small and growing company. Listen to the full interview here and you’ll see what I mean. 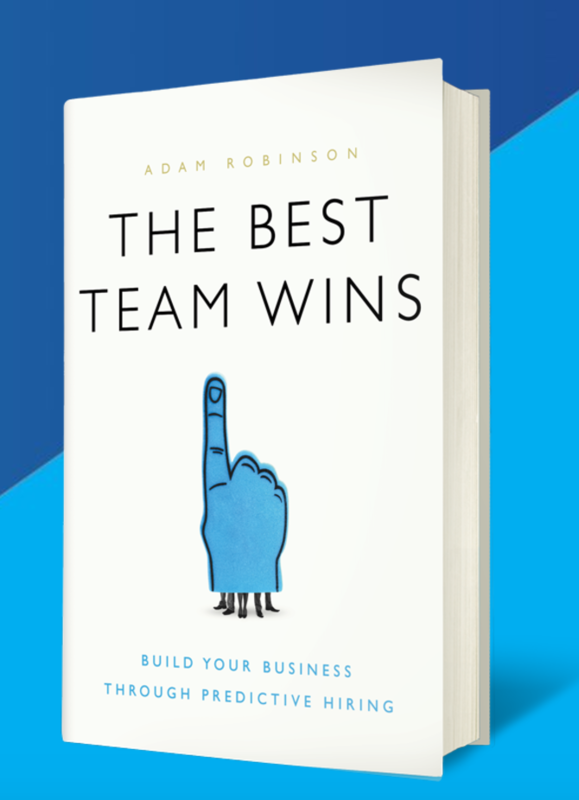 Adam’s insights are invaluable. What hiring mistakes have you made? 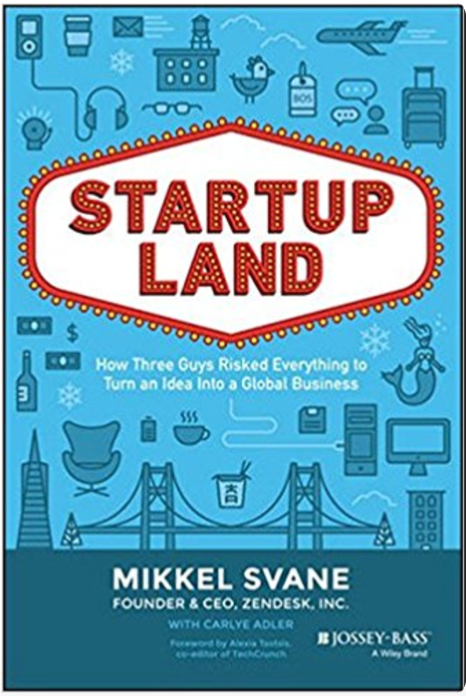 I’m a bit embarrassed to admit that I have never read, “Startupland” until recently. I’m a reader and obviously committed to helping Founders level-up their leadership and scale-up their startup. So I probably should have read it sooner than I have. After devouring the book this past week, I was struck by Mikkel Svane’s honest and emotional recounting of how he and his co-founders brought us Zendesk. I hope my favorite 10 quotes from the book will encourage you to read it, too. Which of these are your favorite? Did you know that fewer than 25% of Founding CEOs have led their companies to initial public offerings? 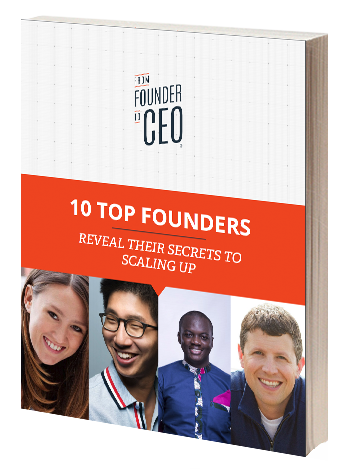 Download the PDF now for some pieces of wisdom from some of our favorite Founding CEOs.